What is next for the Northern Powerhouse? The oft-mentioned “Northern Powerhouse” was a key plank of George Osborne’s economic plans for the North. However, there are signs that the current administration may be less keen on the concept and that it may be diluted or dropped entirely. This briefing looks at what is in store for the Northern Powerhouse over the next few years. What is the background to the Northern Powerhouse? The concept of Northern cities working together to build an alternative economic force to counter that of London has been around since the 1970s. However, George Osborne whilst Chancellor of the Exchequer championed the idea, first branding it the “Northern Powerhouse” in a speech in June 2014. Since then, the phrase has caught on and has become part of the political and economic lexicon. The emphasis of the new administration seems to have changed. Although new Prime Minister Theresa May has appointed Andrew Percy as her new Northern Powerhouse Minister and has also put HM Treasury aide, Neil O’Brien, in charge of her policy unit, recent speeches have placed a heavier emphasis on ensuring that all regions outside London benefit from economic development with less focus on the Northern Powerhouse in particular. This (in part at least) appears to have prompted Mr. Osborne to announce that he will be chairing the new Northern Powerhouse Partnership which will “now be a major focus of my political energies”. The board of the not-for-profit organisation will include business figures from across the north of England, as well as political figures. In terms of economics, the idea is that by linking Leeds, Liverpool, Manchester and Sheffield (and the towns around them), a single economic unit could be created. There is evidence that bigger cities attract clusters of businesses better than smaller cities. This is due to a larger potential labour pool, better transport networks and a perceived bigger larger local market. (iv) creating a cultural offer that would stem the flow of people moving to London. What has the Northern Powerhouse achieved so far? Although the Northern Powerhouse was conceived as a 10 – 15 year project, there are some indications that the concept is already delivering results. 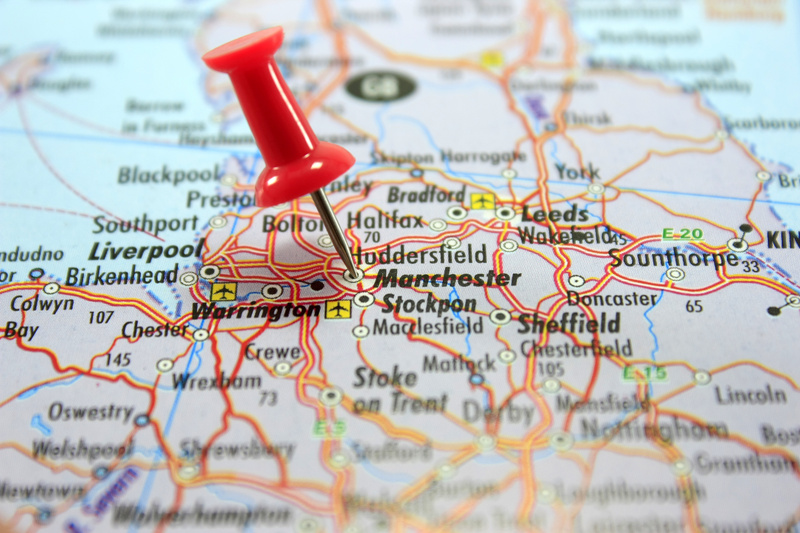 A large number of businesses have already signaled that they are considering moving to, or opening offices in, Northern cities, most notably Manchester. Whilst part of this move may be to benefit from cost savings compared to London, such developments are a positive sign for the North and should prove a basis on which sustainable economic growth can be based. The process of devolving powers to the region has also begun. Elected mayors are to be appointed in a number of Northern cities with greater control being given to regions to develop economic policies. Whilst political support will be required to implement further devolution, the granting of devolved powers to Manchester and its neighbours is already an important achievement. In 2015, only London outstripped the Northwest’s economic growth rate, according to PwC. Yorkshire and the Northeast lagged significantly behind the North West, demonstrating the dramatic differences in growth between Northern cities and regions. What challenges does the Northern Powerhouse face? An underlying principle of Mr. Osborne’s vision was to improve transport infrastructure, particularly that connecting Northern cities. Much more work needs to be done in finding funding for infrastructure projects and ensuring that any developments are coherent and benefit the area, not simply its links with the capital. The North has suffered from years of under-investment in infrastructure with journey times being twice those of comparable trips in the South-East. Whilst hundreds of millions of pounds have been ear-marked for feasibility studies, big schemes such as HS2, faster east-west rail lines and road widening schemes have yet to begin. They will cost at least £15bn. A further challenge is the ability of the Northern cities to work together. The current focus has largely been on Manchester, not least because a disproportionately large number of Mr Osborne’s speeches on the Northern Powerhouse were made in Manchester. Previous incarnations of the Northern Powerhouse are viewed to have failed due to rivalries between the cities and a perceived inability for them to work towards the bigger picture. This failing (particularly if there is a reduction in Central Government support for the Northern Powerhouse) could sink any success in developing economic growth in the wider region. Huge investment is needed in the region to ensure economic growth. Greater Manchester is predicting the loss of £320m in EU structural funding up to 2020 which will impact considerably on its ability to continue with key infrastructure projects, necessary for the region to grow. Funding is vital for the continued success of the Northern Powerhouse. Any failure by Westminster to make up lost EU funding post-Brexit and to guarantee the required investment in infrastructure (including approving controversial schemes such as HS2) could have a detrimental impact on the region and destroy the Northern Powerhouse project. Mr. Osborne is an astute politician. He correctly identified a growing and dangerous alienation from politics in many parts of the North. He believed that this was caused by a lack of economic growth when compared with London and decades of neglect by South-East centric governments of all political persuasions. This concern was ironically proved right by the strong leave vote in former industrial areas of the North. It is vital for the continuation of the Union that lessons are learnt from the EU referendum and that people in the North are made to feel included in the success of the UK as a whole. A strong and economically powerful North is vital for post-Brexit Britain. All regions must contribute to the GDP of the UK as a whole. The North is in a perfect position to provide a strong counter-balance to the economic might of London. Depending on the deal negotiated by the Government, the predominance of the City of London, particularly with regards to financial services, may be limited post-Brexit. A strong, economically unified and successful North will be needed to take the strain and provide growth and employment over the next decade.